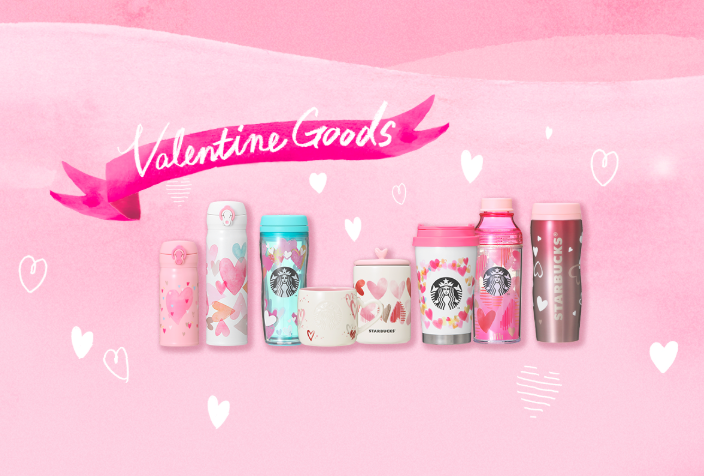 Starbucks Japan Just Released Its Valentine's Day Collection And It's Here To Steal Our Hearts! Following the recent releases of seasonal merchandise, it is evident that Starbucks knows the way to a girl's heart. 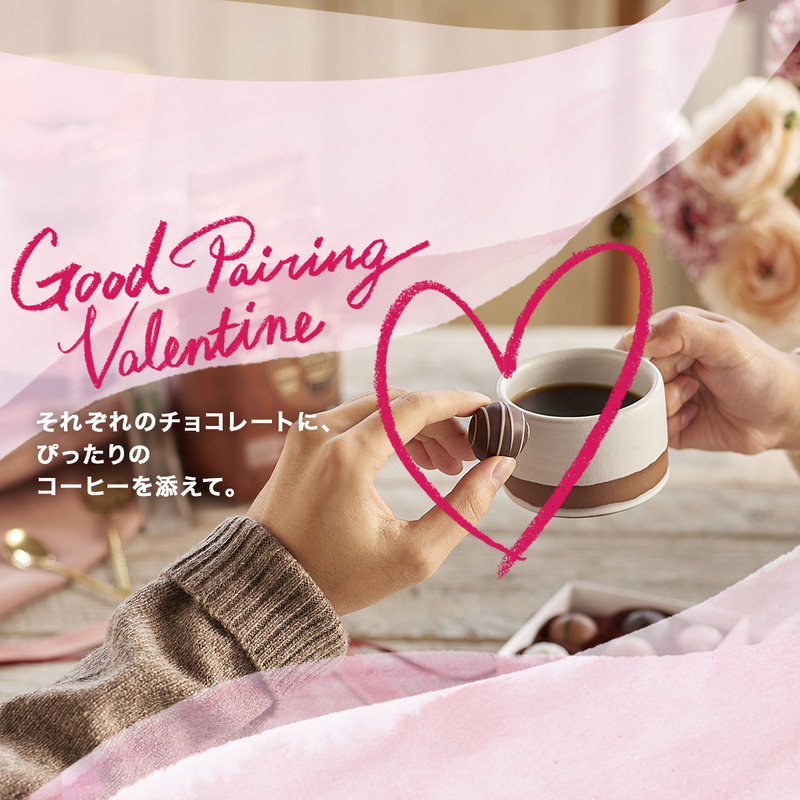 The Japanese division of everyone's favourite coffee chain has recently unveiled its lineup of tumblers and mugs for the upcoming Valentine's Day. This 2019, Starbucks Japan continues to wow us by releasing a collection of pink cups and tumblers. Embossed and printed with heart motifs, this collection will undoubtedly be popular among girls. Curious to find out more? Scroll ahead to peep every single product from this range! 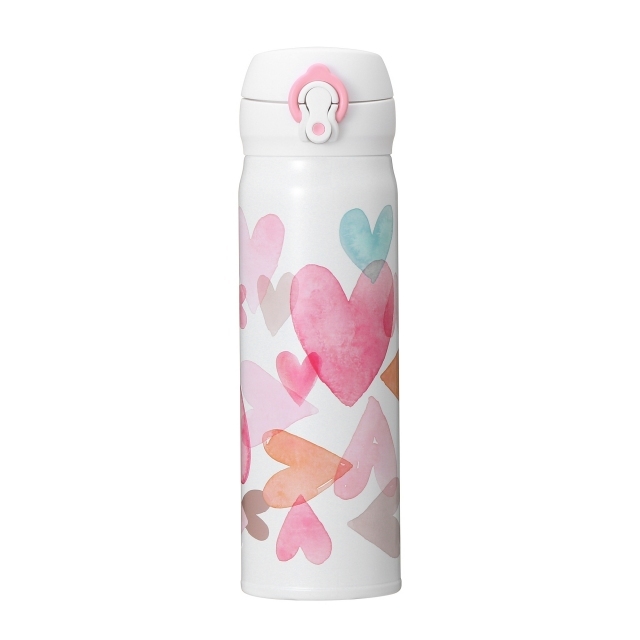 This stainless steel bottle comes with heart motifs printed with a watercolour-esque effect. With soft pastel hues being a part of its colour story, it's no wonder why this number has stolen our hearts. 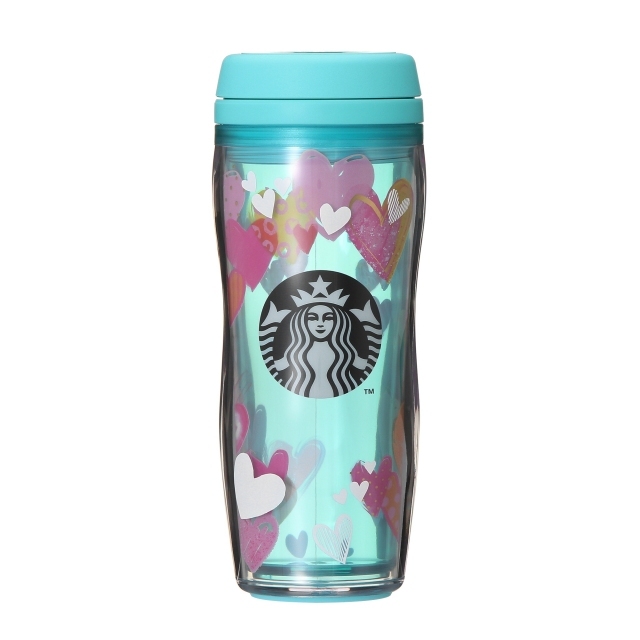 Bask in the season of love this Valentine's Day with this tumbler that is decorated with multiple colourful teeny-weeny hearts. 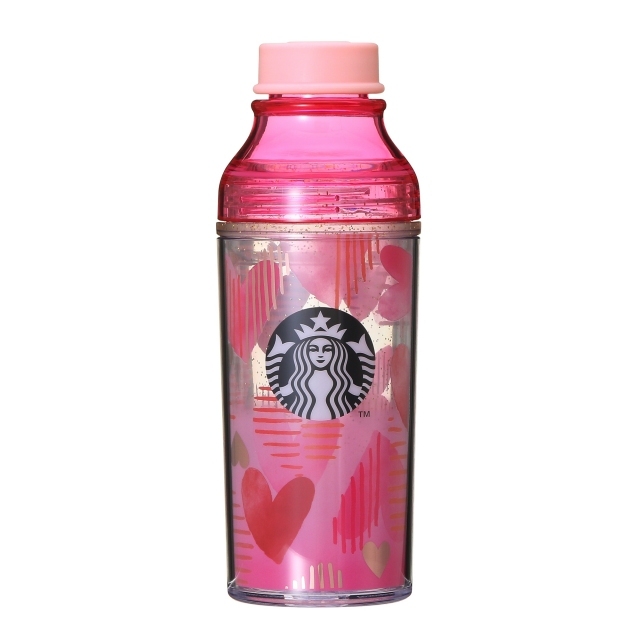 Sporting a metallic pink ombré effect, this curvy stainless steel bottle will be a lovely addition to your ever-growing Starbucks collection. 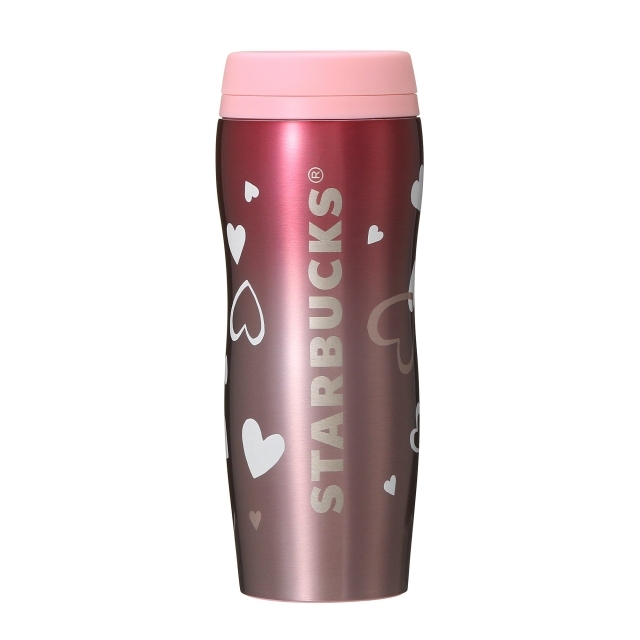 Inspired by the classic Starbucks' takeaway packaging, this tumbler comes in a clean white body with a striking pink lid. With a heart wreath surrounding the Starbucks logo, it's the perfect gift for that special someone in your life. If pink isn't your favourite colour, Starbucks Japan has included a blue bottle in this collection. Adorned with pink, yellow and white hearts, this bottle is definitely one of our favourites! 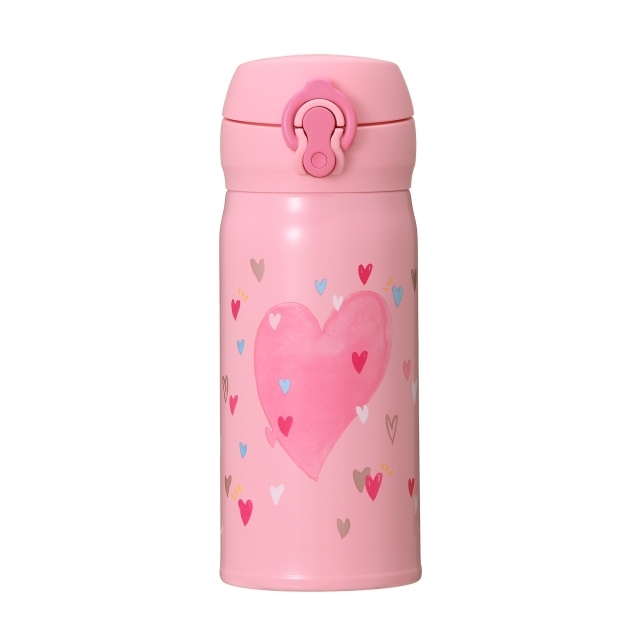 Embossed and printed with hearts of different shapes, this water bottle will no doubt be popular among the pink lovers. 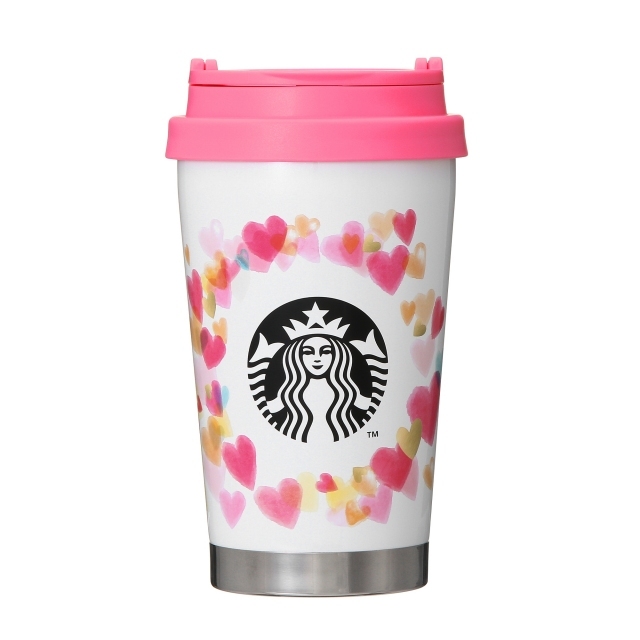 Thinking of having your very own pink Starbucks cup? This charming little one comes with tiny heart motifs printed all over its body. 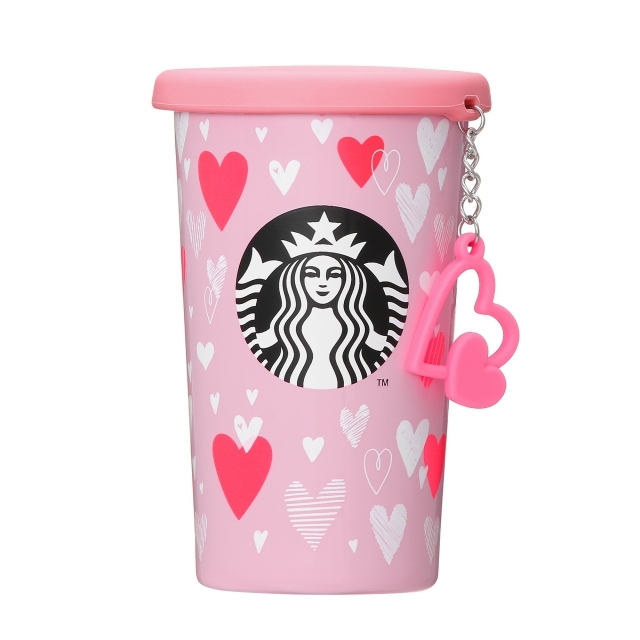 Additionally, this cup comes with a heart-shaped charm! It's time to switch out your favourite mug for this one from Starbucks. 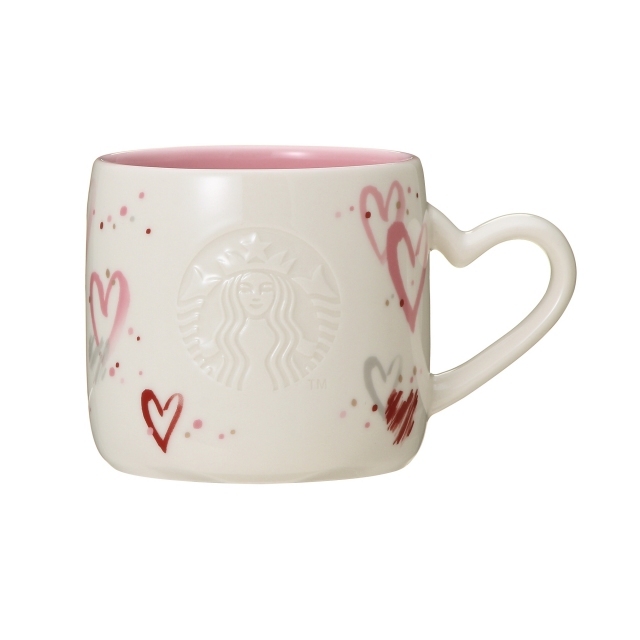 With hearts sprinkled over its body, this mug will lift your spirits up this Valentine's Day. 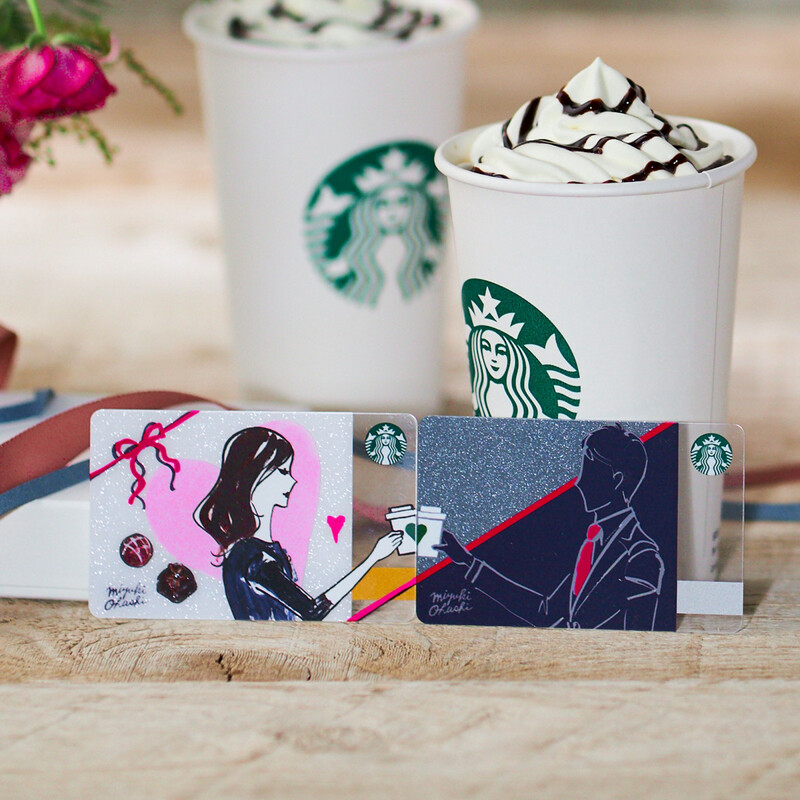 If your partner and yourself are huge fans of Starbucks, these cards are definitely worth getting should you be heading to the Land of Sushi anytime soon. Place these two cards together and you'll get an adorable picture of a couple giving a toast. Do you spot the difference? 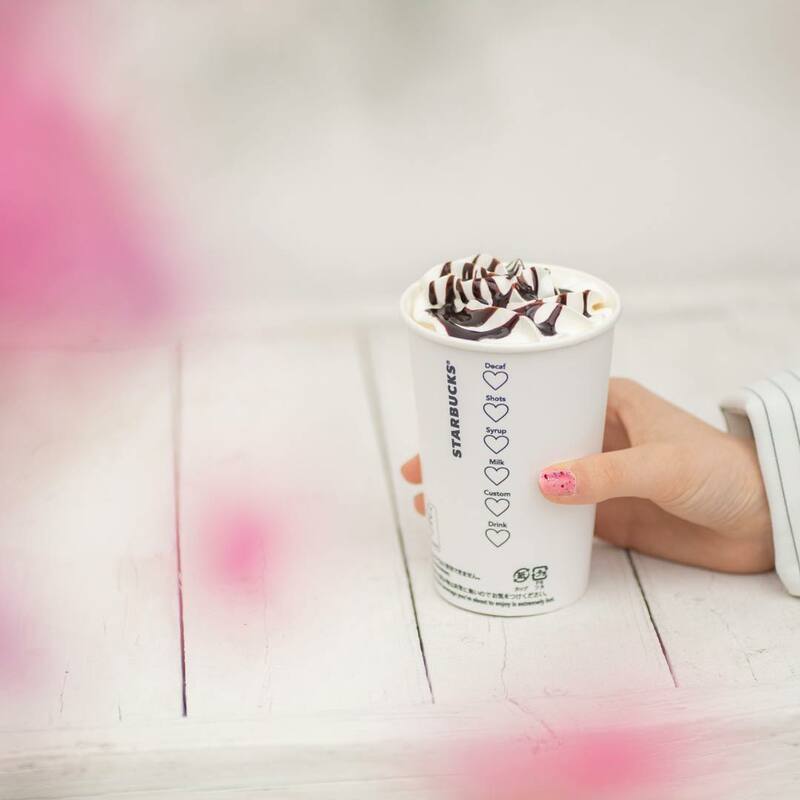 If you're already in Japan, hurry down to the Starbucks outlet nearest to you and grab your favourite hot latte. Your drink will come in this Valentine's Day exclusive takeaway cup. Know someone who is heading to Japan anytime soon? Share this post with them!